Those were my immediate reactions when I came to know of the news about the British soldier who was publicly attacked and decapitated by a British-born Nigerian convert to Islam in a 'suspected Islamist attack' in Woolwich, South East London. Not again. Not another murderous and violent act by Muslims, I said regretfully to myself. Let's put conspiracy theories aside because we need to face the reality of the situation in a rational way. 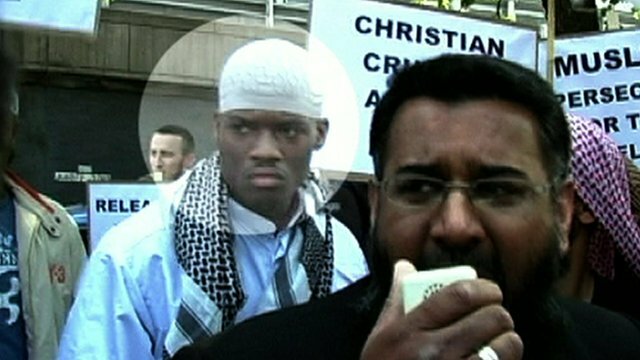 Michael Adebolajo is Muslim, he has participated in protests and has been very transparent about his beliefs regarding the involvement of the British government in military operations in Muslim countries. It was reported that he handed out "radical pamphlets" in the past. It is expected that the Western mainstream media is going to frame this issue in a way that will promote fear and hatred towards Muslims or people perceived as "Muslim-looking". The image of Adebolajo with bloodied hands is disturbing and unforgettable but it is our role as Muslims to not be apologetic or ashamed about being Muslim because Islam is not defined by the actions of a misguided man who believed in the concept of 'an eye for an eye' as the perfect solution to a political problem. We must instead carry out the appropriate and relevant way of dealing with a crisis according to its context. I have to stress on the importance of context because some smart aleck is going to pull out a few verses from the Qur'an to prove that violence and barbarism are parallel to Islamic teachings and that should be reason enough to discriminate the Muslim community. Such efforts do not lead to solutions or peaceful relations between people of different faiths. I agree with Dr. Leon Moosavi's statement: "Now is the time for communities to stand together, not to start blaming each other." Based on the few facts we have been given by the media it can be concluded that Adebolajo is an extremely frustrated and angry man; one who happened to be Muslim. Although I strongly believe it does not justify what he did, it does provide an insight into his mental and emotional well-being when he committed the crime. There are many questions surrounding the murder of Lee Rigby: Who is Michael Adebolajo - what does he do, what is his history, etc.? Who is the other suspect that was present at the crime scene? Was it a terrorist act? How did Adebolajo know Rigby was a soldier? Was anyone else aware that Adebolajo was going to murder him? Did anyone, especially someone from the Muslim community, try to address the problem of radicalisation when Adebolajo was caught distributing "radical pamphlets"? When a friend of mine visited Malaysia for the first time she asked if the crime rate in Malaysia was relatively low because of its status as a Muslim country. 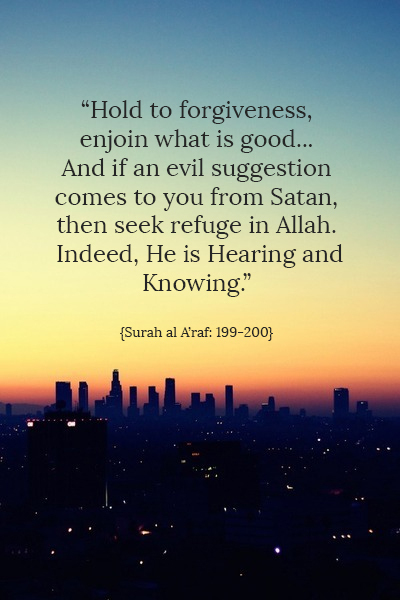 The high standard of moral and ethical codes advocated by Islam creates an expectation about Muslims; one that Muslims should ideally meet but realistically, the guidelines are there to guide and motivate us to do good deeds and prevent us from sinning. These guidelines do not automatically make us God-fearing people and law abiding citizens because there are many factors that play a role in influencing our decisions and actions. I guess that makes us... human. People who transgress and commit crimes, regardless of their faith, are people who follow their lowly desires, something called nafs in Arabic. Anger is an emotion everyone can relate to and it can be used for either good or bad. For example, feeling angry about injustice motivates us to speak out against it and help others but when anger is not contained or controlled it leads to evil desires. “The strong is not the one who over comes the people by his strength but the strong is the one who controls himself while in anger." "Do not become angry and furious." These are the teachings of Islam brought to us by Prophet Muhammad (peace and blessings be upon him). And as Imam al-Ghazzali (ra) has written: "Shahwah (lust, a selfish desire of the nafs) can turn a king into a slave." Control your nafs. Control your anger. Learn from the tragedies we see in America, Syria, Iraq, Palestine, Burma and the brutality we recently witnessed in Woolwich. A moment of extreme anger can lead to a lifetime of regret. I will leave you to reflect on the words of a former soldier who served in Afghanistan. May truth and justice prevail for all the lives that have been stolen, be they by misguided men or missiles funded by governments. It is how I felt about the Boston marathon bombing, your words are wisdom my friend, thank you indeed. very good response to the tragedy. there's been more attacks on mosque since the incident, here in the UK. :( But thankfully the police forces are on guard. Today at the mosque near my area (the one that got attacked a few hours after the woolwich tragedy), police force were on guard while Muslims did their Friday prayers. Alhamdullilah. Things are being done to hopefully 'control' this situation. I'm also thankful that many of my friends: non-muslims, christians, white, black, atheists, what have you - stood up for us Muslims. Goes to show that kindness comes in all shapes and sizes. Very thankful for my English friends who know that majority of Muslims are normal and law-abiding citizens! It was strange for me to be in Boston during the bombings and I now know how it feels to be in a climate full of tension post "Muslim" going wacko and killing people. It is a scary time. Your response is refreshing and needed. Thank you for stating the "don't jump to conspiracy" part. Sometimes I hear Muslims say that stuff and I'm like waaa that's really not the thing to focus on!